Euro Plates made from solid metal and finished with our signature solid metal penny buttons. 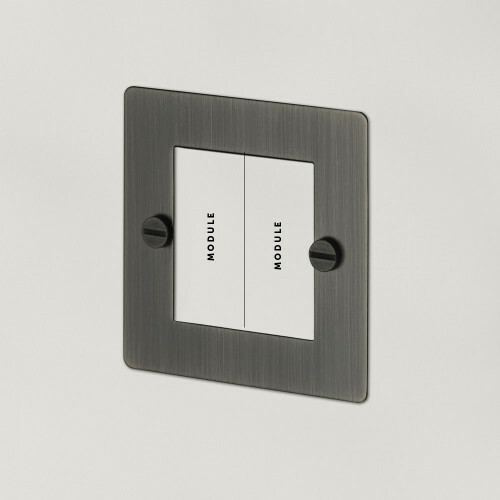 This plate can fit either 2 x single module insert OR 1 x double module insert. Euro Plates can be fitted with module inserts to suit all your electrical, data, sound & AV needs.